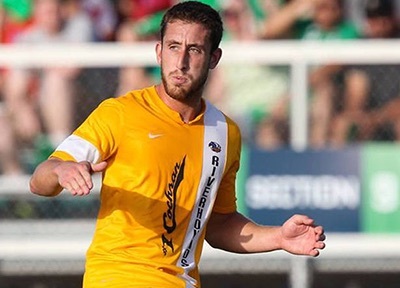 The 2015 edition of the Pittsburgh Riverhounds have found themselves on a Phantom’s Revenge type of roller coaster ride thus far after 14 league games and three additional Lamar Hunt U.S. Open Cup matches. 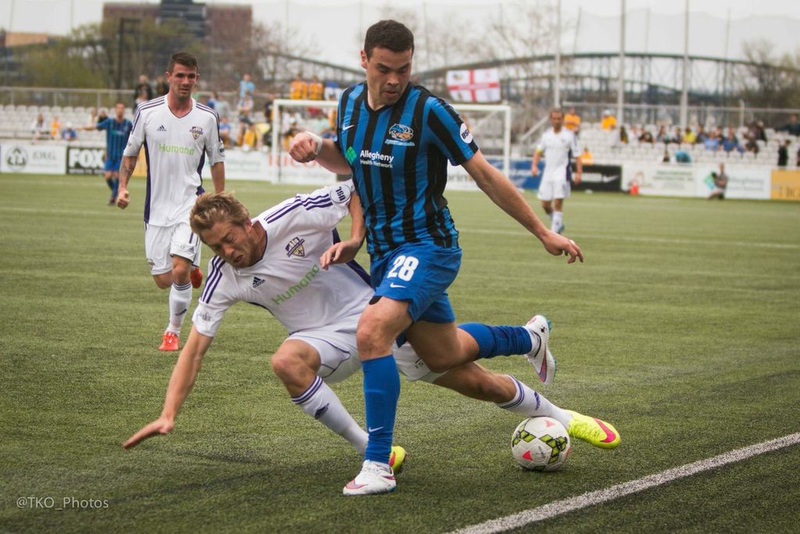 Just like Grandma’s description of a roller coaster, the Riverhounds first half of the season has been anything but a merry-go-round. 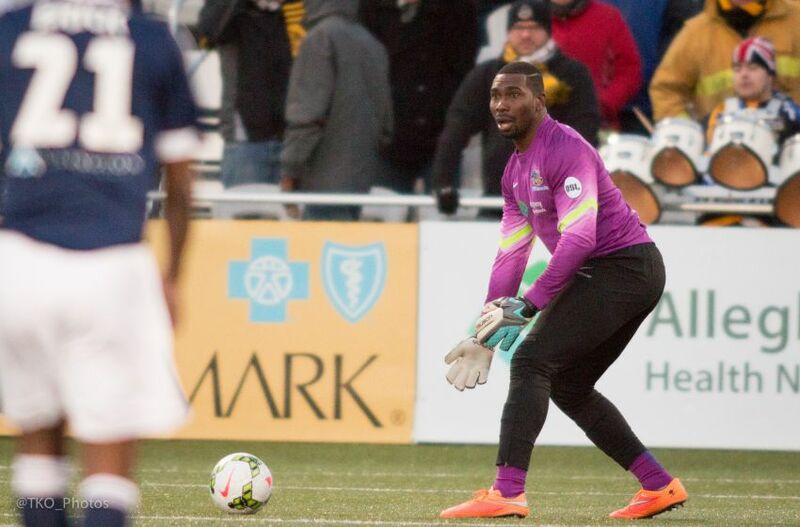 With a new head coach and an influx of new additions to the roster — the Riverhounds have managed to provide a litany of ups and downs. in the opener, setting the tone for the season, stunned the 2014 USL runner-up Harrisburg City Islanders 5-2, as Kerr tallied a hat trick while Vincent added two goals and two assists in a game played in weather conditions resembling conditions suited for the Arctic Circle. lost two games against the league’s top team in which the winning goal was scored in a cloud of controversy surrounding the decision making of the officials. gave back potential points in stoppage time on multiple occasions (Louisville draw and NY Red Bulls II loss) and another in 80th minute (St. Louis). 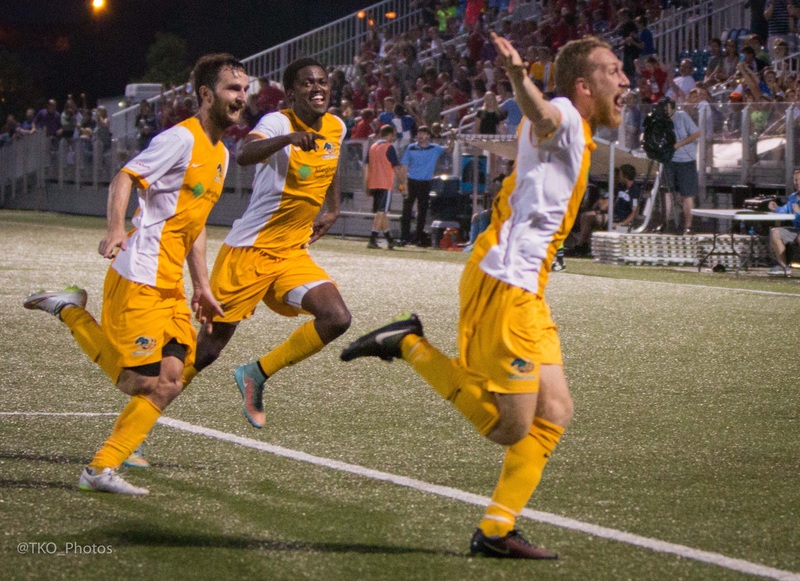 advanced in Lamar Hunt U.S. Open Cup with wins over W.V. Chaos and NASL’s Tampa Bay Rowdies, both at home. Rob Vincent’s goal in the 90th minute against the Rowdies set up a memorable showdown that was played before a packed house at Highmark Stadium vs D.C. United. posted rare 2-1 road win at Richmond, in a game started by a rookie goal keeper, Ryan Hulings, as they hung on for dear life in the closing moments despite an onslaught of shots. 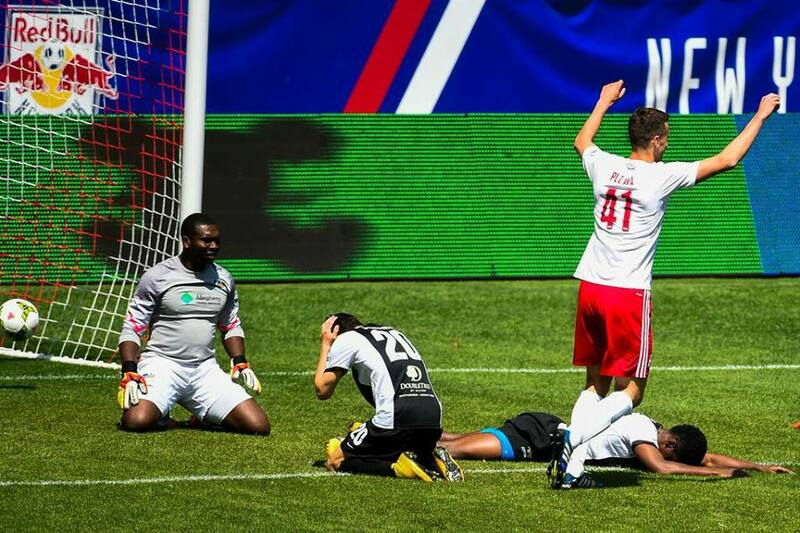 Clearly, the first half season was highlighted by the Open Cup clash with D.C. United played before a spilled over sellout crowd of nearly 4,000 — and a game that was so remarkable that I could only describe it as a “Miracle on the Mon”. Yes — the second leg of the Keystone Derby vs Harrisburg, played on May 30, at Highmark Stadium, may have provided the most dramatic finish to a soccer game ever played in the City of Pittsburgh. 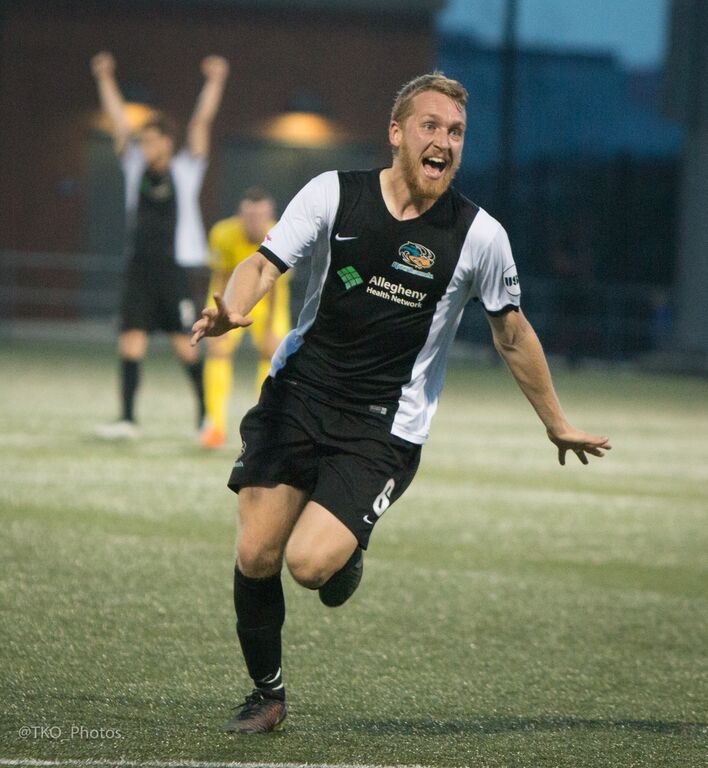 Trailing by scores of 3-0, 4-2, and then 5-3 as late as late as the 89th minute, the Riverhounds rallied for a 6-5 win for the ages. each top the team in minutes played (1253 and 1260 respectively) and both have started every one of 17 games. Kerr’s tireless work rate has been unmatched while Vincent’s been money anywhere near the box. In the team’s signature come from behind win against Harrisburg, it was Vincent’s shot from 25 yards that tied it at the beginning of stoppage time, and Kerr’s terrific finish on a give-and-go with Lebo Moloto, that finished off the remarkable comeback. After struggling to create any significant scoring chances in the first 20 minutes or so against D.C. United, Kerr drew a foul while battling for a ball — setting up the penalty kick that Vincent finished. After that, the Hounds carried large stretches of play and nearly won in regulation. In a scoreless affair with a chance to host MLS’ D.C. United on the line, and entering the 90th minute against the Tampa Bay Rowdies, Vincent stumbled as he was making a run toward the top of the arc. Then made the Rowdies pay with a snakelike shot to the left of goal that gave the Hounds the decisive win to advance in Open Cup. 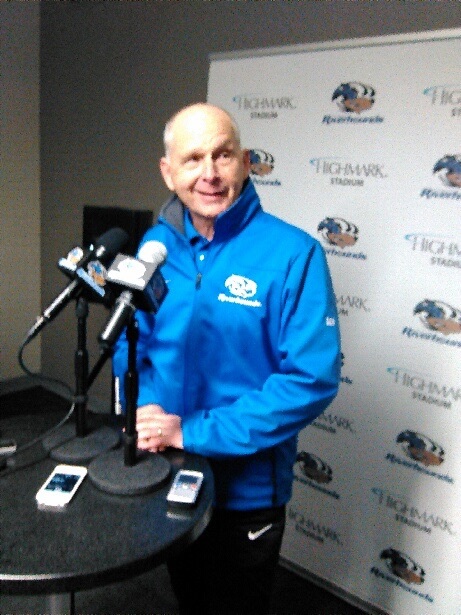 Steffens said at one point a few weeks ago that he feels that the best is yet to come for this team. At the half way point, they are right over the playoff line — and have a great opportunity to make their move up the standings as the defense gets healthy, the goalkeeper situation stabilizes. It can’t all be on Vincent and Kerr — they will need help if this team is going to make a move upward. Well folks, better buckle up — because we’re only half way through this roller coaster ride.